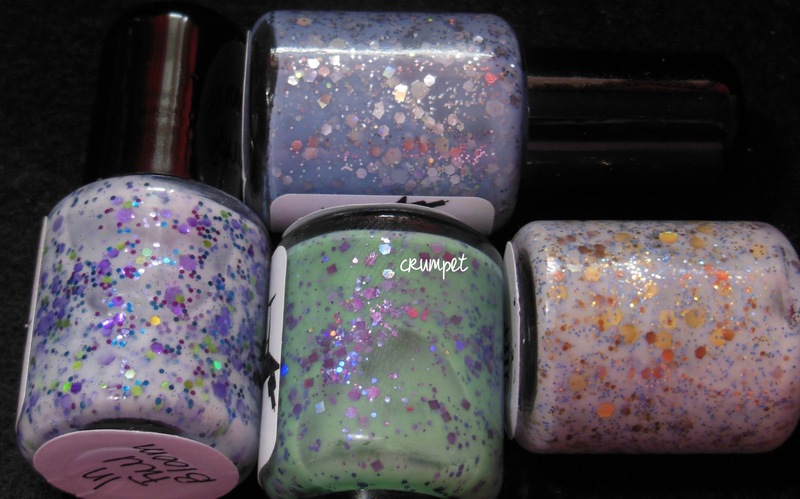 Today I have 4 colours from the new Spring Collection from The Polish Bar, one of my favourite indies. On a side note though, IS it Spring? Here in the UK we've been having snow on and off for weeks, and I can't even remember what the sun looks like anymore. It's like God accidentally put the weather on shuffle and can't remember how to turn it off! First we have Surf and Sand, which was probably my least favourite of the 4. However, looking at the photos, I am now questioning my judgement! 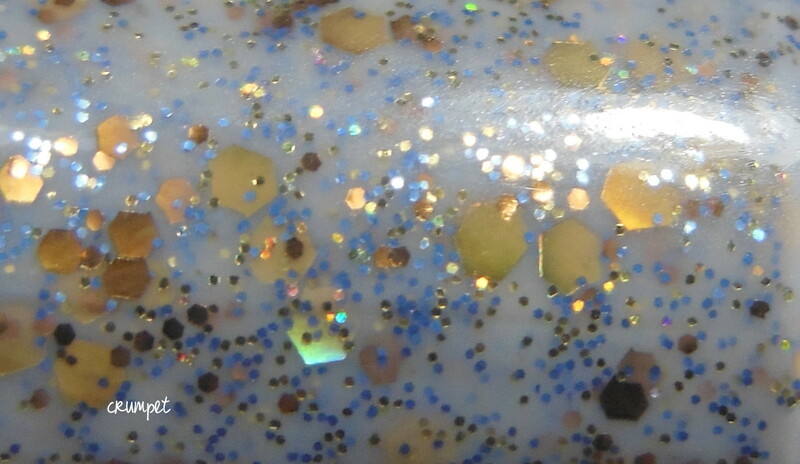 This is a milky base, laden with gold and super fine blue glitter. On my nails, I found the white a little stark, and would have preferred a slightly warmer base. However, in the photos, there's a nice warm grey tone which I didn't see at the time, and which I really like. I wore this one without undies and I think I ended up on 3 and a half coats to get the opactity I wanted. Which is why I layered In Full Bloom over 1 coat of OPI My Boyfriend Scales Walls. I'll definitely use undies for Surf and Sand next time. In Full Bloom is like a spring explosion on the nail. 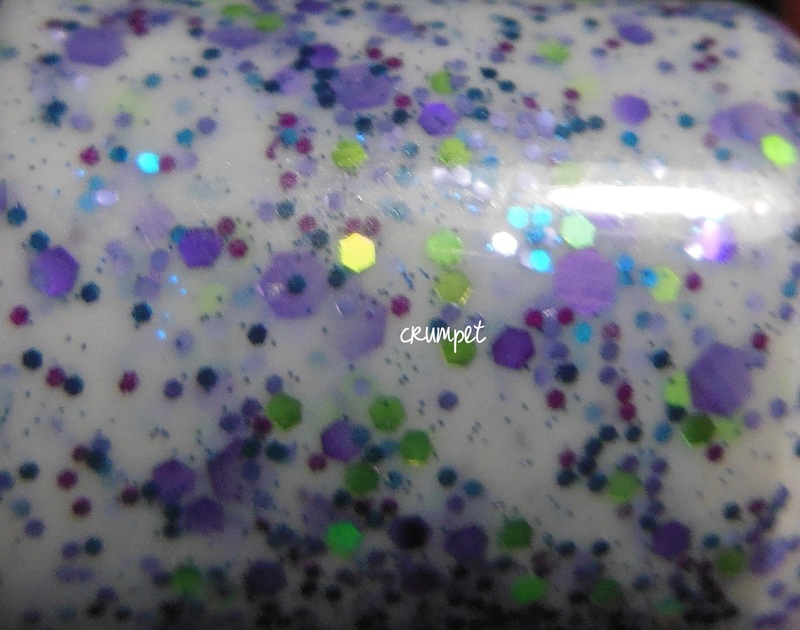 I'm no fan of white glitters, but I loved this one, with the stark contrast of purple and green. This layered beautifully, adding glossiness and depth. Love it. Spring Flowers hasn't photographed as beautifully as it looked on the nail. 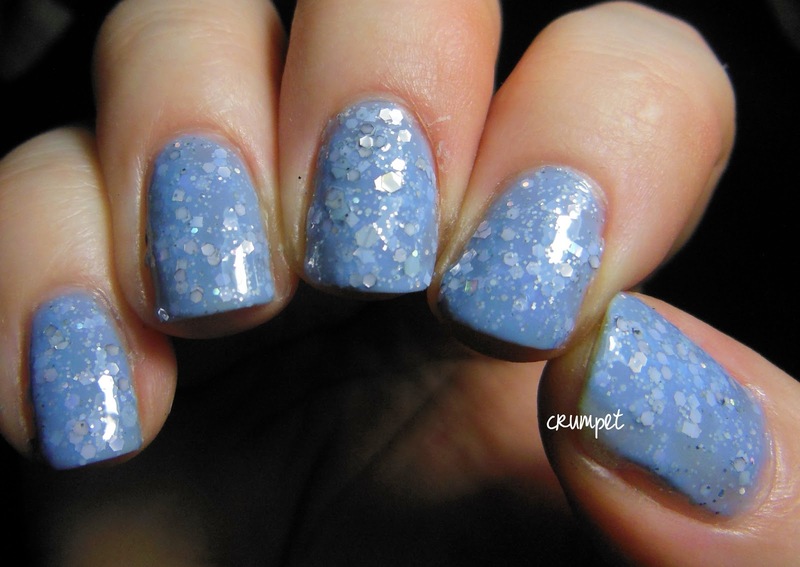 The main glory of this polish is the base colour - it's a lavender-tinged soft blue and it's just stunning. I thought initially that this was very similar to some other pale blue glitters I have reviewed recently, including one from The Polish Bar, but it's the base that makes it stand out from the crowd. Truly glorious. The glitter in this one is mainly silver with a smidge of fairy dust - lovely. And then Perfect Harmony, the dreaded green lol. But do you know what, I LOVED this one. This was the glossiest of the 4 polishes and that really upped the beauty levels. 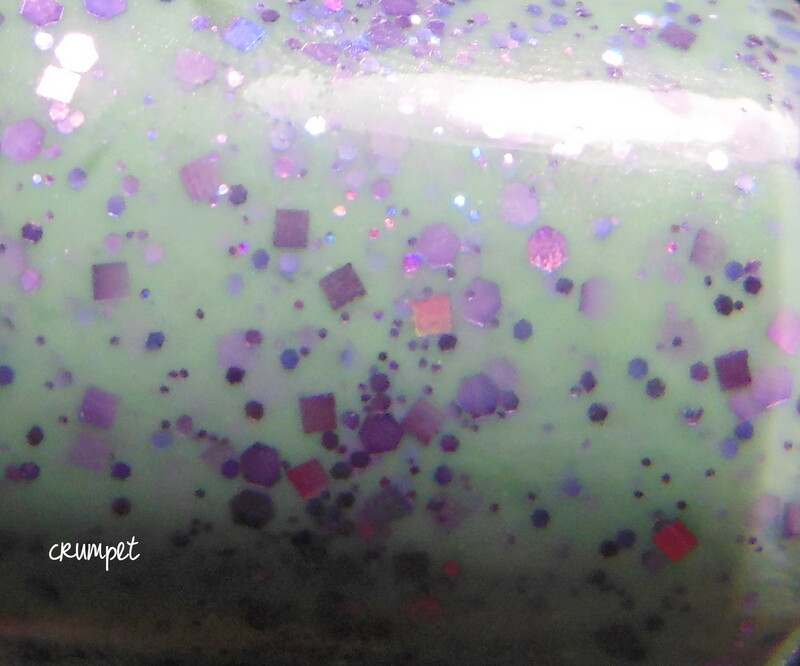 This is a lovely cold dark mint green or a pastel jade, lovely in tone, laden with purple glitters in varying sizes. This is the 3rd such glitter I've worn in as many weeks, and it may be my favourite. If you're wondering how it compares to Smitten Polish Pink Goes With Green, it's darker in base, and lacks the pink glitter of the Smitten. I tried, but I really couldn't choose between them - they're both lovely in different ways.